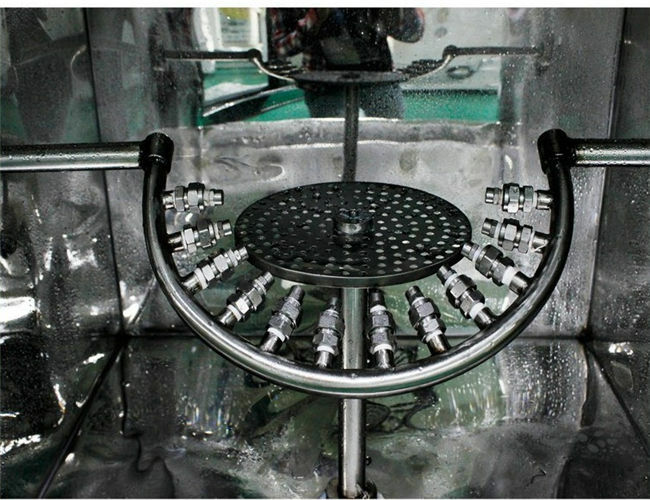 Rain Spray Simulation manufacturer environmental test chamber is mainly used to simulate the lamps in the rain, to assess the ability of the lamp against water penetration through the impact of lamps by the rain. It Applies to the assessment of electrical products, housings and seals in the rain environment that can guarantee the good performance of equipment and components. 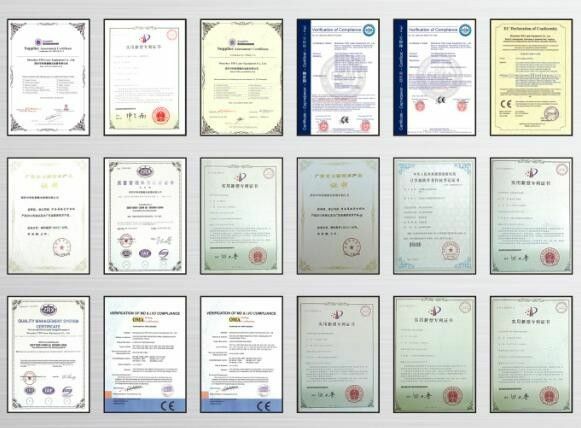 The basic structure and principle of the equipment and performance conforms to the GB10485-89 "external lighting and signal trailers and trailers basic environmental testing "standard corresponding to the technical specifications and requirements, also meet the IP3, IP4 requirements. The chamber shell material is treated with steel plate paint, the inner material is stainless steel light board.Large area of visual glass is easy to observe the specimen status inside the chamber. The bottom of the chamber with high quality fixed PU activity wheel, with user-friendly move. 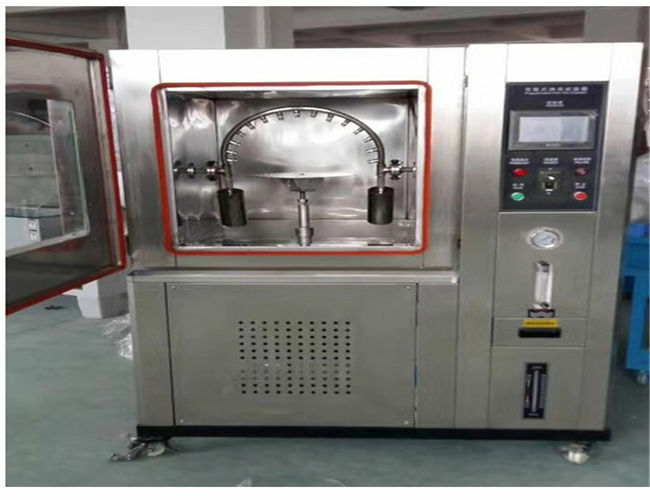 Water spray test equipmentus designed according to the standard of IEC60529, GB2423, GB7000.1, GB4208-1993,(shell protection grade). Waterproof test equipment are designed according to IEC60529-2001, they are applied to test the IP code regarding the second characteristics. 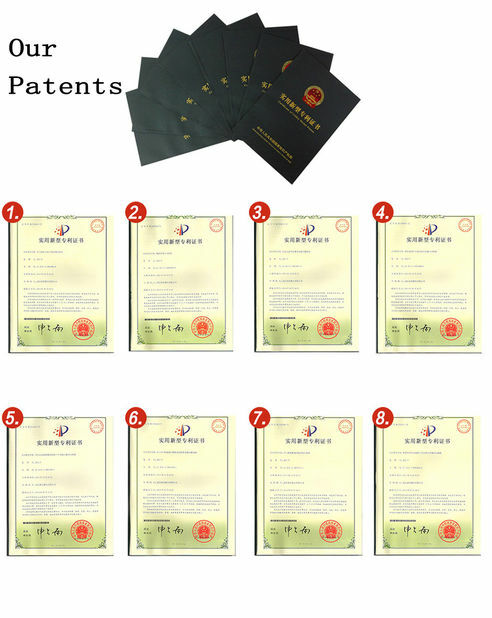 The system is for classifying the waterproof degrees of protection provided by the enclosure of electrical equipment, like LED lamps, household appliance, communication device and etc. 1. Drip Box (IPX1/IPX2): for IPX1 and IPX2 test. IPX1:1±0.5mm/min, IPX2: 3±0.5mm/min (1-3mm/min adjustable); Material: 304# steel (water tank), Panasonic speed regulator motor; Drop of aperture:¢0.4mm, pitch-row:20mm; test time: 0-999min (adjustable). Support base: 150mm*800mm. 2. Oscillating tube (IPX3/IPX4): for IPX3 and IPX4 test. Swing pipe size: R600mm/R800mm/R1000mm; Material of pipe: SUS304 (OD:19mm, thickness: 2mm); Drop of aperture:¢0.4mm; spray nozzle angle: 1200 (IPX3), 1800(IPX4). Delivery rate:0-10L/min (adjustable). Swing speed: 4s for IPX3, 12s for IPX4. Motor: made by Mitsubishi. 3. 6.3mm/12.5mm nozzle (IPX5/IPX6) for IPX5 and IPX6 test.Internal diameter of the nozzle: 6.3mm (IPX5), 12.5mm (IPX6); delivery rate: 12.5L±5/min (IPX5), 100L±5/min (IPX6); distance between nozzle and test product: 2.5-3m. 7 inch LCD touch screen. Sample rotation base: Ø700mm, speed: 1-5 rpm), height: 800-1300mm. 4. Temporary immersion tank(IPX7): for IPX7 test.Dimension: 2000mm*1000mm*1500mm, height: 1650mm; water mark: 1000mm; material: 1.5mm 304# steel (inner), 201# steel (outer). 5. Continuous immersion tank(IPX8): for IPX8 test. 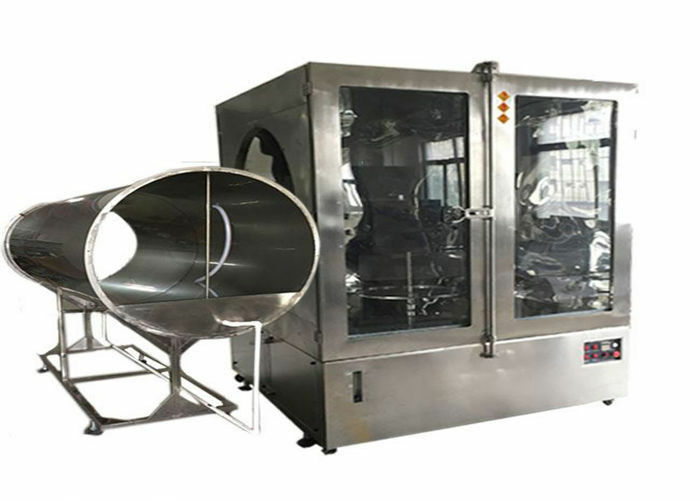 Diameter: 0.8m, height: 1m; pressure: 0-0.35MPa, accuracy: 0.25, range:0.6Mpa; test time: 0-99h; max pressure: 0.5Mpa. Depth: 1-30m; material: 304# steel; connect with water supply with 3/4 inch high pressure steel. IPX3,IPX4 swing pipe adopts stepper motor drive, angle precision, velocity can be set and adjusted, each nozzle with rotary center radiation, testing is completed automatically by compressed air and clean water.